Kurdish fighters have reportedly managed to free two Kurdish towns near the Turkish border that were attacked by Islamic State (IS, formerly ISIS/ISIL) just the night before. RT has obtained footage showing what remains after fighting. Reflecting the consequences of the war, shelled buildings, endless debris, and ruins are all that is left of the once-existed towns. The northern Syrian towns of Tel Abyad and Suluk reportedly came under attack on Saturday, though Kurdish People’s Protection Units (YPG) reportedly later secured the two areas. 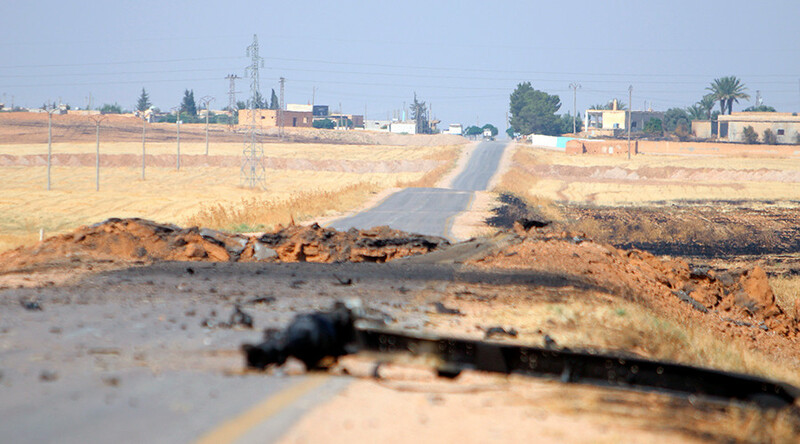 At least 35 IS militants were killed in the fighting, according to ABNA news agency. IS carried out the assaults a few hours after a “cessation of hostilities” plan came into force.